ASO Score BETA: TheTool's New Feature is now Ready to Use! October Update: Meet TheTool’s ASO Score (BETA)! We’ve been working hard on an update that will make TheTool smarter, stronger and more helpful for you. Today we are proudly presenting a long awaited new feature – meet the ASO Score! Who can use ASO Score? Where to find ASO Score? What’s inside the ASO Score? The more data – the better! Ready to get your app analyzed with ASO Score? We know it can be hard sometimes to see where to start with App Store Optimization strategy and what steps to follow to optimize it. This is why we created ASO Score – an automated algorithm that audits your ASO strategy and suggests actionable tips on how to improve it. It is fully compatible with iOS 11 updates and can analyze your product page, conversion rate, visual elements and even localization: nearly all on-metadata and off-metadata factors. And it’s ready (and very easy) to use! ASO Score can be used by anyone! All our paid plans now include a fully operative beta version of ASO Score. Not subscribed yet? Start the 14-days FREE trial now! Because we are still working on it, making it more intelligent and better fitting your needs. We kindly ask you all to share your feedback with us, leaving your questions or suggestions through “Support” button in your dashboard, or dropping an email: katerina@thetool.io. We really appreciate your help and looking forward to your thoughts! ASO Score is a smart algorithm that revises your Apple App Store or Google Play listing and finds flaws to be resolved in each of its elements: Title / App Name, Subtitle, Keywords Field, Short and Long Description, Promotional text, Graphic Elements (Icon, Screenshots, Video), Conversion Rate, Localization and more. We always say that what is not measured, can’t be optimized. ASO Score analyzes the public information available for your app and takes it from the app stores. However, the audit will be incomplete without Conversion Rate data, or Keywords field for iOS apps. 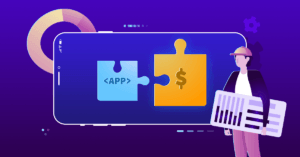 This is why we recommend to integrate your Google Play console or iTunes Connect account with TheTool to provide ASO Score with some extra data to complete the evaluation and provide you with a full picture of your ASO strategy. Start from getting an ASO Score evaluation for your App Store Optimization strategy: it is available for all the apps in your account. ASO Score gives an estimated Score that represents the strength of your app, and indicates the issues to resolve for each analyzed parameter. Having an updated app is important factor for app stores ranking algorithms. Check if your pricing strategy, updates and app size are optimized for ASO! We are always working to help you analyze and improve the ASO of your mobile apps and games. With this new feature, you will get even more insights and actionable tips on how to move on with optimization. Please, share all your thoughts or ideas about it with us and help us improve!